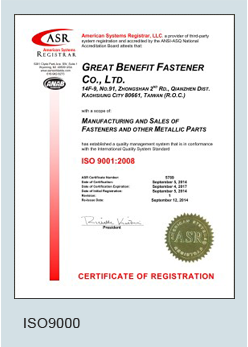 Great Benefit Fastener (GBF) is a professional manufacturer and trading company in fasteners and hardware for industry, building, auto and electronic facilities with ISO 9001：2008 certificated in Taiwan. Our company is specializing in producing a variety of bolts and screws with ISO/DIN/IFI/AS/BS standards and our products can also be customized according to the clients’ need. 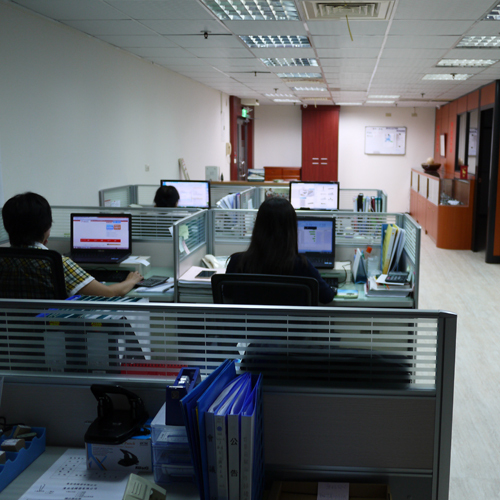 GBF aims to offer the best service and quality products for our customers.